NETSIAN Technologies Group develops innovative video surveillance solutions to bring company owners, managers and security personnel peace of mind to view their businesses over the internet at any time. 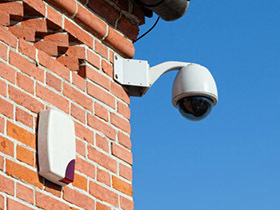 Security cameras not only record crimes and liability incidents to help business managers get the information they need to resolve these issues but they also help deter crime on your premises. Specializing in the latest in IP video surveillance and video analytics, we are premier integrator for your surveillance needs. NETSIAN’s ability to leverage relationships with most of the top technology manufacturers who embrace open platform architecture provides our customers with less-proprietary platform solutions, proven manufacturers with established track records, and the opportunity to integrate technology to deliver customized solution tailored to meet their specific industry and operational needs. Video management software (VMS) is powerful and easy to use with a wide array of features for basic to advanced surveillance needs. 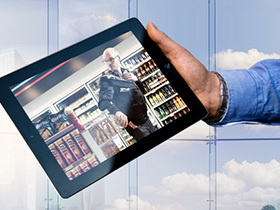 IP video technology makes it possible to use video surveillance not only for security and safety, but for all types of uses to cost-effectively monitor operations for business optimization and process improvement. 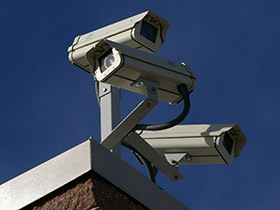 NETSIAN employs factory-certified technicians and programmers to assist in the design and deployment of your video surveillance systems solutions. We have the capability to provide maintenance services on your legacy systems, and maintain the manufacturer relationship for access to hardware, software, and service related components.